I hope this finds you well. 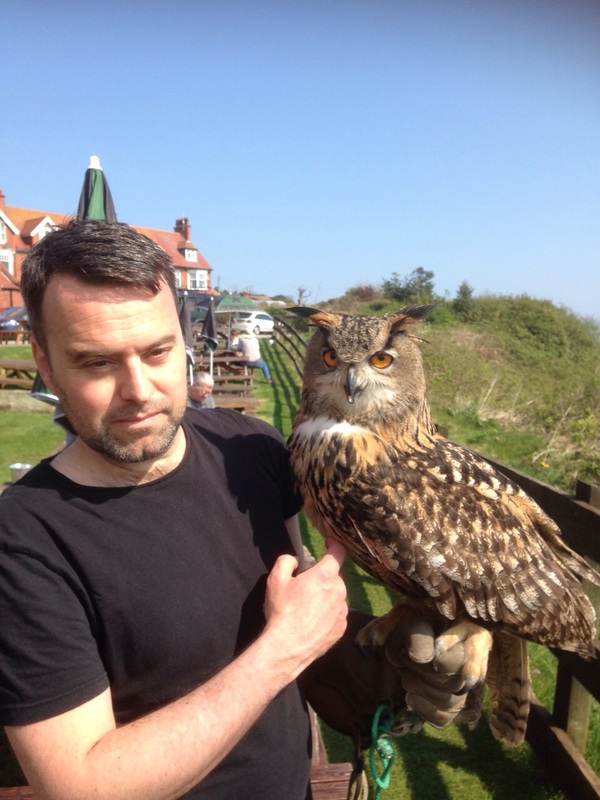 This season so far I have been mainly hanging out with birds, writing short stories and interviewing Mötley Crüe. What a life. There now follows some writing news…. * The first edition of my recent poetry collection Heathcliff Adrift has sold out. A second print is now available, featuring a new marine blue cover. These bespoke editions are hand-made by Tangerine Press. The poems are also currently exhibited alongside stunning landscape photos by Nick Small at The Bronte Parsonage, Haworth, West Yorkshire. It runs until June 8th 2015. * Beastings has been longlisted for the Jerwood Fiction Uncovered Prize. Results are announced in June. It is, of course, still available to buy. * My Grandpa Ronnie Myers recently celebrated his 100th birthday. I recorded the event in this piece for New Statesman and considered his life, war, the north-east and Britain’s aging population. * My story Snorri & Frosti was recently performed by actors at Society Of Authors event. That too is available to download or buy. * The morning after the recent UK election I was asked to write a 100 word response for 3:AM Magazine. I wrote a story called ‘Claire’, which can be read here. * Satire being the best weapon in the modern arsenal, I also wrote a poem for The Morning Star entitled ‘I Saw Katie Hopkins’. That is available to read here. * And finally, I have reviewed Rob Cowen’s fantastic book Common Ground for Caught By The River. It’s a must-read for anyone into landscape, nature, edgelands and prose that merges fact, fiction, poetry – and more.